The first day of sailing saw brilliant sunshine and clear blue skies, which conjured up an early sea breeze, so that the races could start on time at 12:00, and take place with steady southerly winds. Skolkovo 1 won the first two races of the day, and came second to LUM in the third. The second day was not so lucky with the weather, it being overcast, and so the race committee had to contend with light and shifty conditions as the sea breeze battled against a northerly gradient wind at first. The first race was called off with one minute to go to the gun. 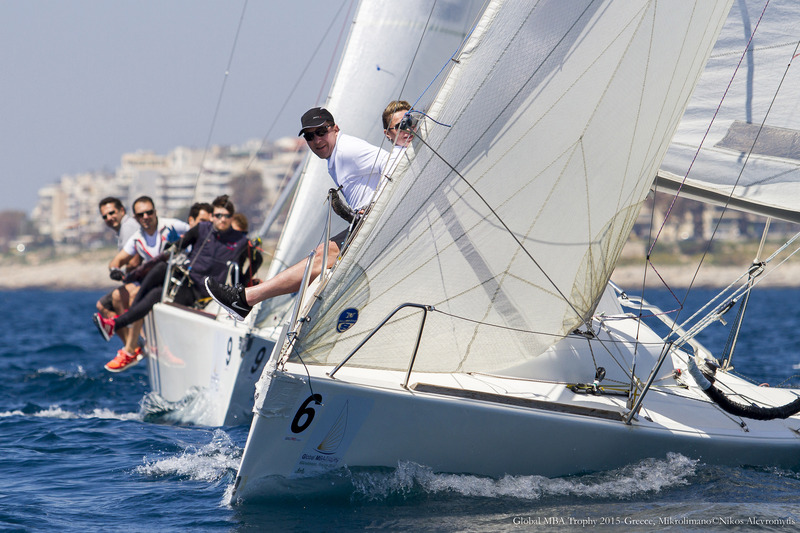 The breeze did fill in and allowed the committee to get in all three races, which the Skolkovo 1 team again won the first two and LUM the third. In the “B” division, five races were sailed, with LBS’s team coming in first in four of them, being pipped at the line for the other race by an IE crew that came second in the rest of the races.